Had an awesome weekend. Mom took Becca and me to Disney to see the UCA College National Cheer Competition. 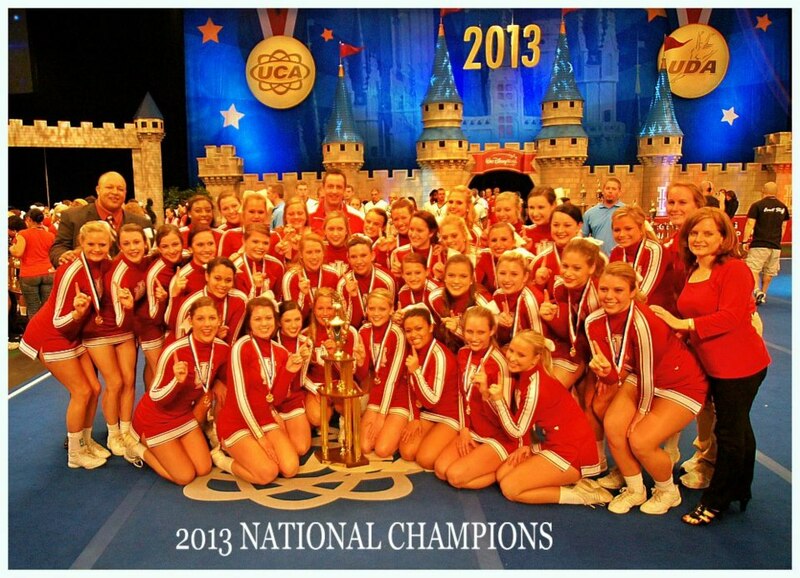 My cousin Lauren’s team, Indiana University, was there to defend their win from last year. They were AWESOME! Their final was flawless. Love it! Loved it! Loved it! So now they’re back to back winners. Becca and I definitely want to do college cheer. Indiana University, here we come! Oh, and weekend before last. You’re not going to believe this. The guys actually liked the movie Breaking Dawn. Go figure. Their pick for the next movie we see is Jack Reacher. One of those bang-‘em-up movies. I tried to get out of it, saying my mom wouldn’t let me go to an R-rated movie, but wouldn’t you know, it’s PG. Ugh. Well, who knows? If they liked Breaking Dawn, maybe I’ll like Jack Reacher. Becca finally let me in on the surprise she’s been hinting at. Her family owns a place on St. James Island and they’re going to go there for Spring Break. And guess what???? She wants me to come with them!!!! I said no way would my parents let me go. I mean, the airfare alone must cost a fortune and IF they said yes, I know they’d make me pay part of it. (That’s their way of teaching me money management. Like I have any money to manage!) Becca laughed and said her dad would pay for everything. I said for sure my parents would say no. She said to work on them. I said I would, but not to hold her breath. I soooooooo want to go! I did get all A’s in every report card this year. I can use that. What else? I’m going to have to give this a lot of thought. Wish me luck!